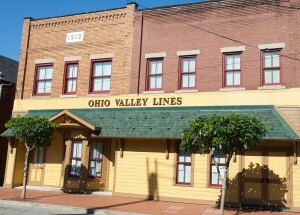 Becoming a OVL member is a great way to be part of the model railroading hobby without the expense of building your own layout or having to have the space to build a layout. Once you spend some time with us helping out on Monday nights, two members will sponsor you into the club. Once you become a member there is no special requirements or regulations (with the few exceptions noted below) for what you can and can’t run with the club. For HO scale modelers, rolling stock must have steel wheels and Kadee (or fully compatible) couplers; locomotives must be equipped with DCC decoders as this is our control system for the layout. For N scale modelers, DCC decoders are required and Micro-Trains couplers are suggested. FOR POTENTIAL MEMBERS ONLY: We are open Mondays from 7:30 to 10:00PM and Thursdays from 10:00AM to 2:00PM for work sessions. We are not open for operation of trains or other visitors during this time. Must be sponsored by two voting members of OVL and accepted by a vote of the general membership. May have access to OVL when a key-carrying member is present. May have one train on layout. May use the OVL museum and library. Are welcome to attend all social functions and rail-fan outings at the same expense as full time member. May work on the layout with the guidance of a full time member. May be terminated at any time by a majority vote of the membership. Applicant is expected to attend four Monday meetings prior to the membership’s acceptance vote. Must be a member of the same household as the primary member. The full dues paying member (Primary Member) of the household may vote at Business meetings. Membership may be terminated at any time by a majority vote of the membership. Entitled to vote at business meetings. May be a key carrying member after six months. Have unlimited access to the club, which includes the Museum, Library, and Layout. Full members must be 21 years of age or older. May bring children under sixteen years of age. Children must be closely chaperoned by parent. Children over sixteen must apply for a family membership. Applicant is expected to attend twelve Monday meetings prior to the membership’s acceptance vote.